Jesus constantly pushed the boundaries and did things that were socially unacceptable for ‘good’ people to do. He didn’t follow the rules. He didn’t do what was expected. Jesus spent time with people I wouldn’t approve of. I wouldn’t feel comfortable with the people Jesus hung around. I wouldn’t want my daughter dating the people that Jesus spent time with. The people I would approve of, the religious ones who followed the law and the traditions of the church, were the ones Jesus rebuked. While the religious leaders were always close by, the disciples Jesus called to follow Him were not the religious elite. They were a motley crew of misfits and rejects (I mean that in the most loving and respectful way possible) who other Rabbis hadn’t wanted to take on as students, or who did not qualify for a good religious education. When Jesus taught the crowds and performed miracles, it wasn’t the good religious people who were at the front of the line, deserving the focus of the Messiah. It was the oppressed, marginalized, outcaste and rejected of society. Jesus interacted with women and children, the sick and disabled, tax collectors and prostitutes. Sinners. God gave his people the law to show them his character and holiness, to show them how to have a relationship with the living God, to give them a way to live in tabernacle with the Almighty God. But they missed the point. They took the law as a set of rules and set up more rules around the rules. Religion made them feel good about themselves. They could tick their boxes and make their sacrifices and fulfil their requirements. They became proud and judgmental, and their hearts became hard. Jesus went on to explain, you can’t mix the old way of thinking with the new. You can’t follow the law for salvation, you must have faith in a Savior. 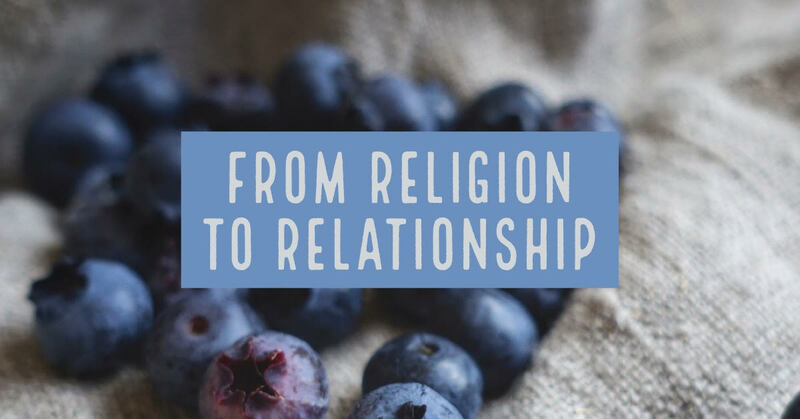 Religion must give way to relationship. The law was to show us that we cannot rely on ourselves for salvation. The law shows us we need a Savior. The law brings us to Jesus. Our human propensity to develop formulas, follow and obey rules is persistent. Obeying rules makes us feel good about ourselves. just like the religious leaders who heckled Jesus. It makes our hearts hard and callous. We can’t mix and match the old way with the new. In one short parable Jesus teaches: if you use new cloth to patch an old tear, you make the tear worse. If you put new wine into old wineskins, the wineskins will be ruined, and the wine will be wasted. We have a couple of thousand years of church tradition to follow. 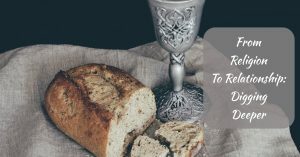 There are many wonderful examples of faith and spiritual discipline, but we can easily turn tradition into formulas to follow and rules to obey. Jesus calls us into a dynamic, innovative, exciting adventure instead! I think I would have been a good Pharisee. I like knowing what to do and what not to do. I like knowing where I stand and what the consequences will be. I have been driving for 30 years, and I have never received a parking or speeding fine. True story. I find comfort in the rules. This makes me a terrible passenger! I can’t cope. I’m constantly distracted, looking to see if we are speeding, changing lanes without indicating, or sneaking through an orange light. I am filled with anxiety. The road rules have my full attention. I miss out on appreciating the beautiful scenery. It’s difficult for me to engage in a good conversation. I miss out, because I’m focused on the wrong thing. I’ve been a Christian all of my life and have grown up in church each Sunday. I know what a ‘proper’ service is like, how many hymns should be sung, and how long a good sermon should last. While I’m busy critiquing the service, I miss out. I notice the drums are too loud…..while missing the words of adoration I should be singing to my King. I notice someone’s skirt is too short….. while missing out on the look of hurt in their eyes. I’m focused on religion instead of relationship. I’m holding on to old wineskins, while claiming to want new wine. Jesus’ ministry shows us what God is like. He spent time with people who were lost and loved them. He healed the sick, fed the hungry and loved the lonely. He wasn’t interested in following the Pharisee’s rules. Instead, Jesus focused on relationships. This is a constant challenge for me, and I hope it is an encouragement for you. Let’s reject the striving for approval, which makes us proud and judgmental. Together, let’s enjoy an intimate relationship with our loving Savior and nurture a heart that loves one another. Thanks for joining us today as we journeyed into Screenshot Week One! Don’t miss out on the discussion below – we’d love to hear your thoughts! I read the words of this old, beloved hymn, and I’m immediately transported back to a musty university classroom surrounded by mostly older folks. Ray Koon stands in front of everyone, directing with his hand – his suit and tie perfectly in place. On one side of me are my grandparents, singing their hearts out, my Gamma’s sweet, soprano voice lifts above the other voices and carries throughout the room. My Papa’s voice, once a clear and perfect tenor, is starting to strain a bit, but his German accent and steady vibrato create a lovely sound. My little brother and my parents are to my other side. My mom’s alto harmony mixes in with the rest of the voices, and my dad holds my brother while rocking back and forth, singing quieter, but with pure and evident belief in each word he sang. I like to imagine that my voice was beautifully melodic, sounding like an angelic child. But I probably was singing in my “grown lady voice”, sounding like an opera singer wanna-be gone wrong. But the song… that song gripped me, even then. I sang with my own conviction, but I sang noticing the convictions of the people around me, and trusting that what I sang would remain true, even as I grew into an adult. A cross representing suffering and shame? A cross where the dearest and best person was brutally murdered after being shamelessly attacked and recklessly beaten? I love that old cross? held the sacrificial body of King Jesus. The body of the slain Lamb. 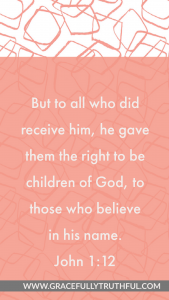 Fully God the Son, who chose to come to earth and wrap Himself in human flesh. 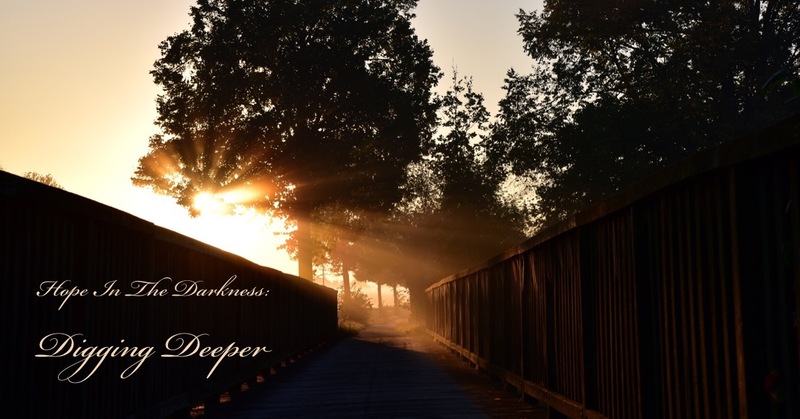 To walk with us, teach us and love us, before finally tasting the bitterness of separation from God the Father as He died to pay the price for our sin. When George Bennard wrote this hymn in 1912, it took him some time to complete, as the melody came first and the words slowly followed. The only words that were steady and true were “I’ll cherish the old rugged cross”. The rest of the lyrics developed, surrounding those first words. Jesus was speaking of the suffering that accompanies a life spent following Him. Paul was describing the simple, yet confounding complex miracle that is salvation. Our physical bodies? They are finite. They become ill and age. and on that day our eternity will be continued in a different way. 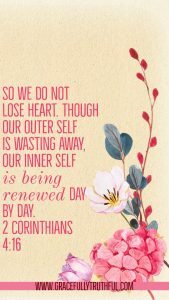 In the passage above, Paul was talking about the juxtaposition of our eternal soul, cloaked in and polished by the righteousness of Jesus, existing inside these bodies that deteriorate. we are indwelt with the Holy Spirit so our spirit craves the holy! 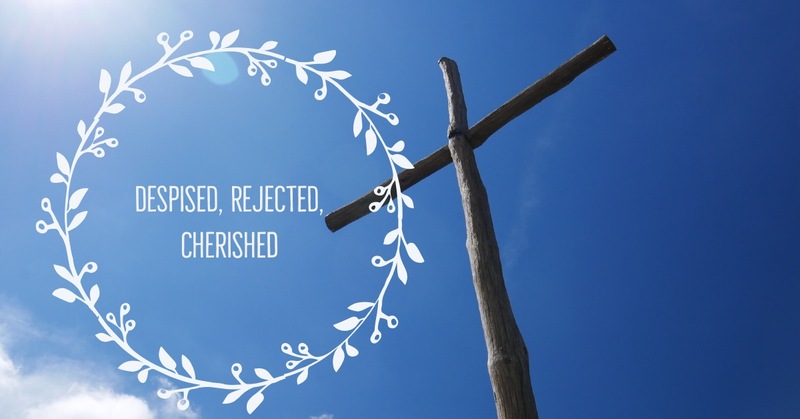 As our physical bodies age and deteriorate over time, His resurrection power is glorified when we deny our fleshly desires (read: sin) and choose instead to be refined by righteousness over and over again. Does that thought exhilarate you as much as it does me, Sister? He alone makes us new; we are freed! Freed from the sin that used to bind us. we used to call our own. Freed from the guilt that once forced us to keep our head down and eyes lowered. Jesus forever separated us from the guilt we rightfully deserved. Freed from the shame that used to haunt our trapped hearts. IT IS NO LONGER OURS TO CARRY! I love that old cross… and I’ll cherish it. 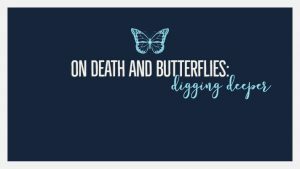 Check out On Death & Butterflies! 1) What is the tent? 2) What is the significance of saying, “we will not be found naked”? 3) What do “down payment” and “confidence” have in common? For we know that if our earthly tent we live in is destroyed, we have a building from God, an eternal dwelling in the heavens, not made with hands. 2 Indeed, we groan in this tent, desiring to put on our heavenly dwelling, 3 since, when we have taken it off, we will not be found naked. 4 Indeed, we groan while we are in this tent, burdened as we are, because we do not want to be unclothed but clothed, so that mortality may be swallowed up by life. 5 Now the one who prepared us for this very purpose is God, who gave us the Spirit as a down payment. 6 So we are always confident and know that while we are at home in the body we are away from the Lord. 7 For we walk by faith, not by sight. 8 In fact, we are confident, and we would prefer to be away from the body and at home with the Lord. 9 Therefore, whether we are at home or away, we make it our aim to be pleasing to him. 10 For we must all appear before the judgment seat of Christ, so that each may be repaid for what he has done in the body, whether good or evil. Paul was an author, speaker, preacher, and teacher. He knew how to captivate an audience and he knew how to relate to them. One tool he often employed was the metaphor, skillfully painting a word picture to convey a spiritual truth to an audience who thought concretely. Paul was also a tentmaker by trade, when he wasn’t off preaching, teaching, and being chased out of town because of persecution. It came naturally to him to use the physical around him to describe the spiritual. He used the metaphor of a tent to describe our physical bodies on earth. Flimsy, temporal, fragile, but sufficient nonetheless. Paul didn’t shy away from the fact that our bodies will be destroyed one day by death, nor did he sugar-coat the fact that while we live in these temporal bodies, we groan. We ache, we hurt, we long for more, for better, for eternity. We were designed to hunger for a flawless existence! Again, Paul continues with his metaphorical speech, drawing on something obvious and concrete to make a spiritual point. To be found naked would be an embarrassment and shameful (in Old Testament days and our own! ); it would speak of being un-prepared and caught off guard. But Paul says, “we will not be found naked.” We won’t be caught off guard when our earthly, tent-like bodies are destroyed by death; neither will we be ashamed, embarrassed, or un-prepared. Why? 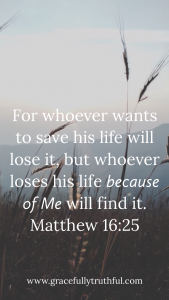 Because the hope of our eternal dwelling, our forever clothes, our glorified, physical bodies are waiting for all those who put their trust in Jesus Christ for their salvation. In yesterday’s Journey Study, it was noted that people are so desperate for hope they are willing to trust in “folklore and emotional feelings” in order to get it. Not so with Paul! He points to clear, solid reasons (not blind emotion) as to why we can have such sure confidence in life after death. 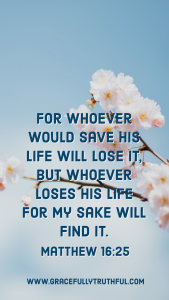 Paul notes that we were intentionally designed to longingly ache for “mortality to be swallowed up by life” (that is, death to be defeated by life), and that Designer is God Himself! There is no greater final authority! He placed His seal, His signature promise, right on our very souls by giving us His Holy Spirit to dwell within us, even these temporal tents. The Spirit is His down-payment, His proof of purchase over our eternal souls. The Spirit in us is proof that God will do what He said He would do: defeat Death with Life! Our confidence is rooted in the promise of the Almighty God. Our bodies are incredible masterpieces, but no matter your age, your tent of a body has failed you, bringing about pain or frustration. Allow these weaknesses to remind you of the fleeting nature of our existence here on earth. Living with the reminder of death, may seem morbid, but the reality that our lives will vanish like morning mist should compel us to love well, making our temporal lives count for the eternal. Paul reminds us in verses 9-10 that regardless of living on earth or in Heaven, we should “make it our aim to please Him, for we must all appear before the judgement seat of Christ.” Eternity is coming, how are we stewarding our time in this “tent” of a body? Where in your life are you experiencing shame? Paul intended this section of Scripture to teach us about the eternal that was awaiting us in real, physical, concrete bodies, but there is a broader abstract aspect as well. If we are in Christ, we are new creatures (2 Corinthians 5:17), we have been born afresh with a new Father, a new nature, no condemnation (Romans 8:1), and no obligation to obey the old, sinful nature (Romans 8:2). There is hope for the eternal, but also hope for the now. Take off the shame, the feelings of not enough, and wrap yourself tightly in the clothing of eternal hope because of Jesus who came to set us free! The concrete idea of making a “down payment” is something we can relate to easily in our culture. If something is valuable to us and we really want to purchase it, we are willing to hand over something of significant value to us to “hold our name” on that item until we can fully make it ours. The same is true for our souls in relation to God. He longs for unity with us, so God sent His Son to redeem us from sin’s grip and then went further to prove his love by making a down-payment of His Spirit, who lives inside of every believer. Understanding this truth and choosing to follow the leading of the Spirit as He guides us gives us incredible confidence, both for our eternal home and our temporary one. Believers know where they will go when they die on earth, and they also have confidence in daily living because the Spirit of the Living God abides within them. This is true, solid hope! 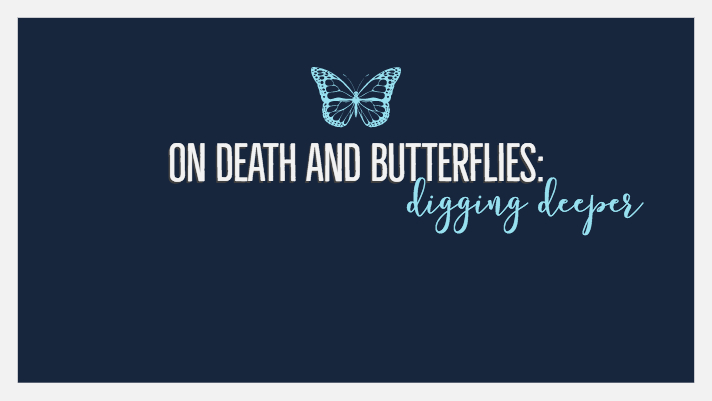 Catch up with On Death & Butterflies! I’m currently walking through a season of being still before the Lord. start listening to His truth and who He says I am. I felt strongly that in order to start off this season of quiet, I first needed to repent. To cleanse my heart of all that had a hold of it. And so I sat down and listed them off, one by one. God, I am sorry for thinking that I can be the best mom, wife, friend, sister, daughter, while serving on worship team, writing for a blog, and leading a small group without spending enough time in loving union with You. God, I am sorry for not acknowledging You for the help that we have received in the midst of job transitions, church commitments, being out of town, or a simple date night. None of those would have been possible without You. God, I am sorry for not listening to you when You told me to keep loving my husband and serving him the way You have called me to. I’m sorry for not extending grace to my daughter as she stops to learn something new, causing us to be late yet again. God, I am sorry for using the gift that You have given to me without letting You be used through me every single time. I was blind to how my sin added a soul crushing burden to my everyday life. Looking over the list I had just made I knew it was time to hear what the Lord wanted to say, and so with that, I turned the page. And isn’t that so true of all of us? We walk this life carrying bitterness towards someone who offended us years prior. We hold grudges towards our spouse because of something said in an argument. We try and navigate our life without the One who is the Giver of life, because we feel we are better guides. then we haven’t done wrong at all. But sweet friend that isn’t true. releasing the sin that we have a hold of. The sin that has a hold of us. 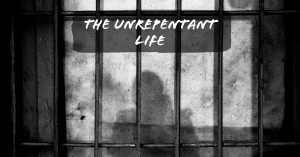 As we’ve journeyed through the book of Hosea for the last two weeks we can see an overall theme of unrepentance woven throughout. From Gomer, to Israel, to us as God’s people, unrepentant hearts are the constant. Tender fathers seek first to train their children by gentle means. The Lord, in His patience, dealt kindly with His stumbling Israel, sending them favor after favor and blessing after blessing. But the more He multiplied His blessings, the more they multiplied their iniquities. So they spent the mercies of God in sacrifice to their idols and committed transgressions with the false gods of the heathen, consuming with their lusts the mercies God had sent to bring them to repentance. I had taken God’s mercies for granted. do you know what I didn’t hear? You know what I didn’t feel? Oh I surely deserved it. I deserved much worse when I look face to face upon the sin I have loved and then compare it to the pure, un-adulterated, endless holiness of the Lord God Almighty. 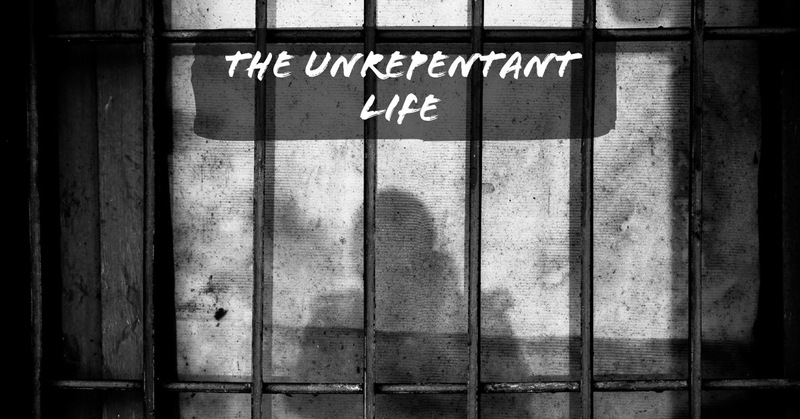 In that moment as I turned my unrepentance into repentance, there was…. Because His wrath against my sin had already been pacified. Not mine, but my Savior’s. Forgiveness is mine because my Savior pursued me, even in my sin, He pursued. He chased me, again and again and again. And right there is the tragedy of Gomer and Hosea. Of Israel and her Shepherd King, Yahweh. Israel’s story, Gomer’s story, they don’t have to be ours. and stand forgiven, redeemed, and at peace with the Almighty God! Thanks for joining us today as we journeyed into Bride Week Two! Don’t miss out on the discussion below – we’d love to hear your thoughts! These, these names are my identity. I will never be anything but, these. I am enslaved to my lusts. No matter how much I take in, no matter how much I pursue it, it’s never enough. I have no satisfaction, but I cannot make a different choice. Sometimes I look around and wish for something deeper, more lasting; something trustworthy. But I can’t do it. I’ve tried. I’ve been pursued, but I find I cannot chase back. I’m powerless. Gomer. My name means completeness, fullness, a coming to the end, usually suddenly or with quick termination. Think of it like a cup that is so full, you can see the water cohesively forming a slight bubble just above the rim of the cup. One drop more and the cup would not contain the liquid. The cup is completely full and the water must stop immediately. I don’t remember a life different than the one I have now. Whatever memories I have are faded, like sketches of a dream leaving me wondering if different than now was ever anything more than a mirage. I see other women, women with children, women with husbands. True, some of those husbands I’ve seen on my street corner. But still, those women have husbands…families. Perhaps years ago, my heart would have trembled, crying out for mercy, wishing for what I do not have. But I know I’m not worthy. But then there is Hosea. Foolish man, pursuing me when I have nothing to offer him. He is respected, has earned a fine reputation. He’s a prophet of Yahweh! Yet, he chose me as his bride?! I simply cannot fathom it. Surely, there’s an ulterior motive. More ridiculous, he has given me children. I simply cannot accept this generosity. No, I will not accept it. All I have is shame. I will forever play the harlot. No one can love me like a husband, not Hosea, not Yahweh. 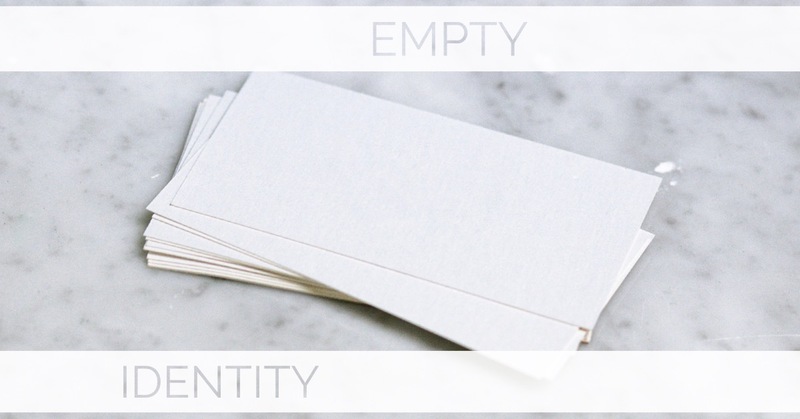 These empty identities, they are all I have. My name is Gomer, I am full. Full of brokenness and shame. Both were full of adultery. And the Lord was calling them into immediate obedience or suffer the consequences. The Lord’s patience was at maximum capacity for their wickedness. The Lord had watched the Northern Kingdom of Israel walk steadily away from His decrees, farther and farther into their own sin, and it broke His heart. But Israel refused time, after time, after time. Israel chased other gods, chased their own passions, lusted after others, and broke covenant with the Lord their God in ever intensifying grotesque acts of adultery. And so, one last time, the Lord God gave Israel a living picture, one they couldn’t possibly deny the reality of. He told Hosea, His prophet, to do the unthinkable and marry Gomer the prostitute while living openly among His people. Hosea would take her as his own and would love her deeply. She would break his heart. She would refuse to be healed from her whoredom. The unthinkable would become the undeniable as Hosea and Gomer lived out the re-enactment of Israel’s own whoredom. This is how I love you, O Israel! This is how I love you, O Beloved (YOU!)! 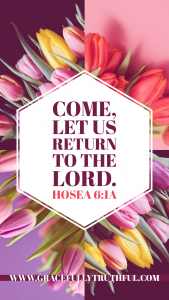 Gomer chose to run, despite Hosea’s dramatic, intentional, pursuant love. She held on to her empty identities and simply refused to believe that sacrificial love could truly exist for her. In the same way, Israel, the Northern Kingdom, also refused to exchange her identity. Israel could not, would not, believe that God’s love for her was better than any she could find on her own. Israel’s story ends here, she chose whoredom, and as a result, the consequences of her rebellion were meted out by the iron fist of the Assyrian Empire. She chose to be her own savior and lost everything. Don’t miss this message, Sisters! Your Savior is calling you with the same pursuant love. Shame does not have to be your name. Regret does not have to be the skin you wear. Unworthy does not have to be the cloak you cover yourself with. Nothing to offer the God of the Universe? Exactly! Nothing we do could amount to anything, just like Gomer. She was powerless to earn Hosea’s love. And we can hope for nothing more before the Holy God. Which is why He did the work for us! and pay the penalty for sin in our place. There is hope for a new identity. One that begins and ends with the life of Jesus Christ as He offers Himself for you. Just like Israel, just like Gomer, we each have a choice to make. Drop your empty identities and be made new!